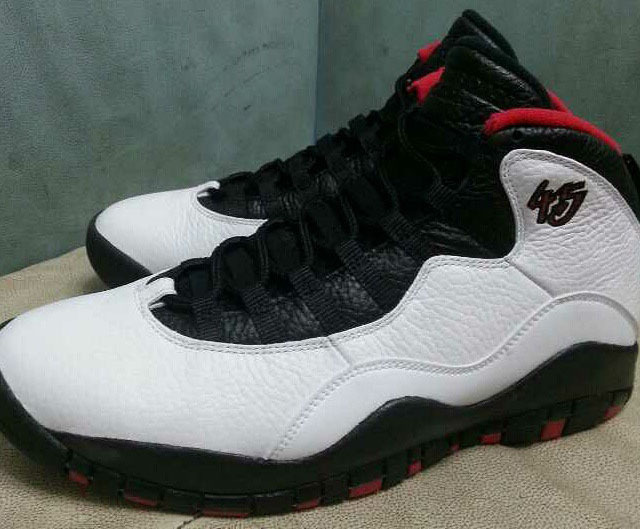 When I come back like Jordan, wearing the 4-5. 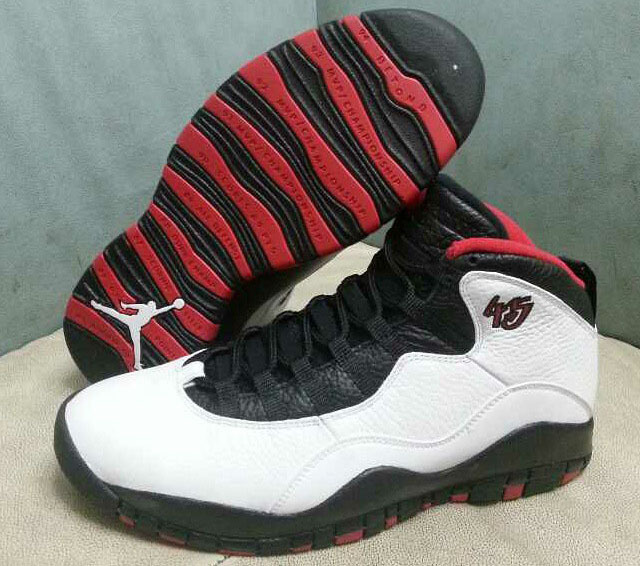 Worn by Michael Jordan when he returned to the Bulls in 1995, the 'Chicago' Air Jordan 10 is due back out in remastered form next year. 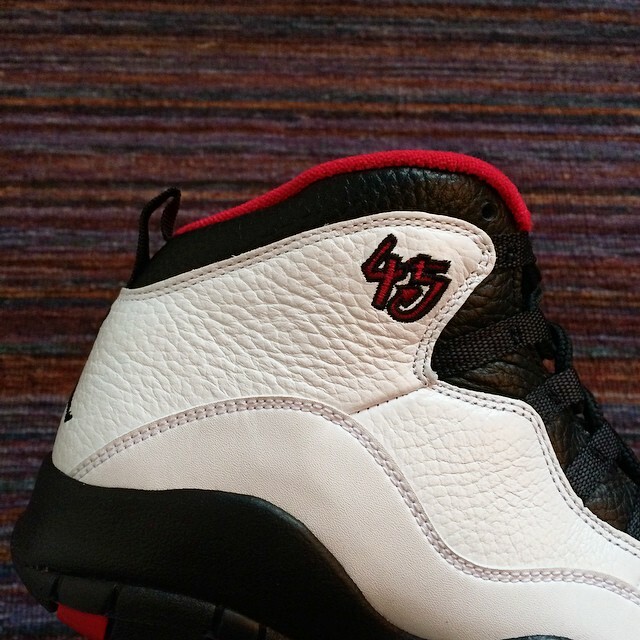 Last re-released in 2012, the original colorway is back with MJ's old number '45' embroidered on the lateral ankle. 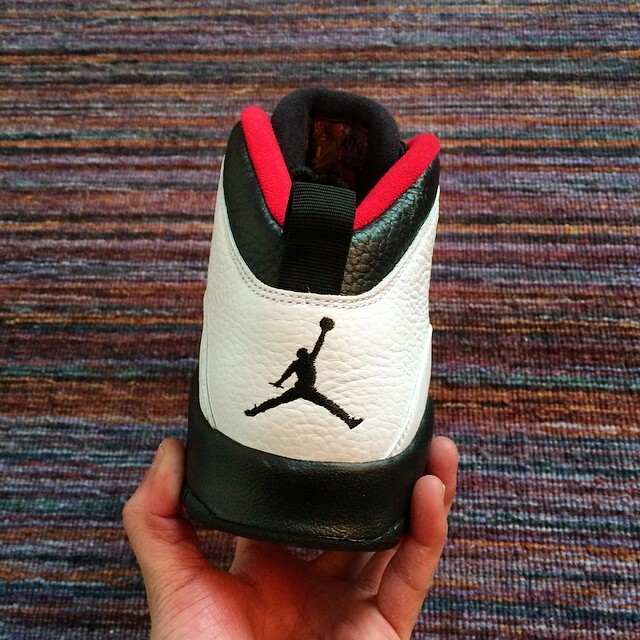 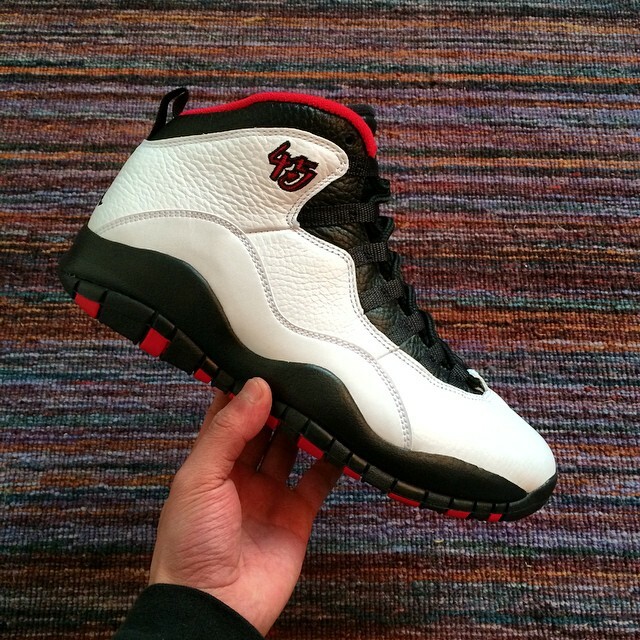 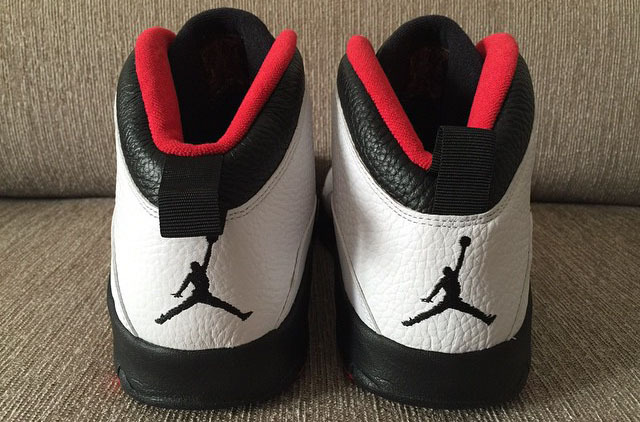 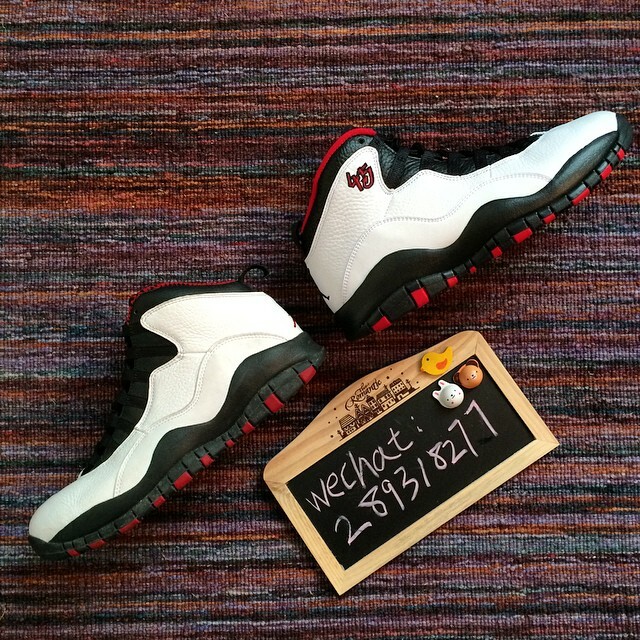 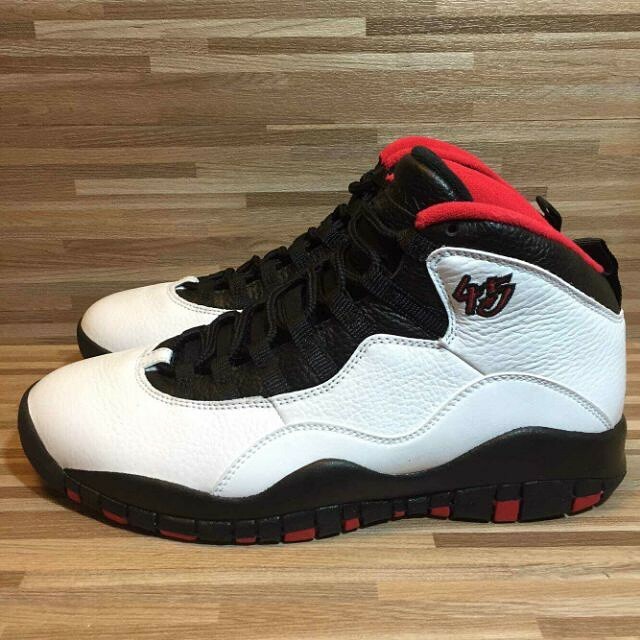 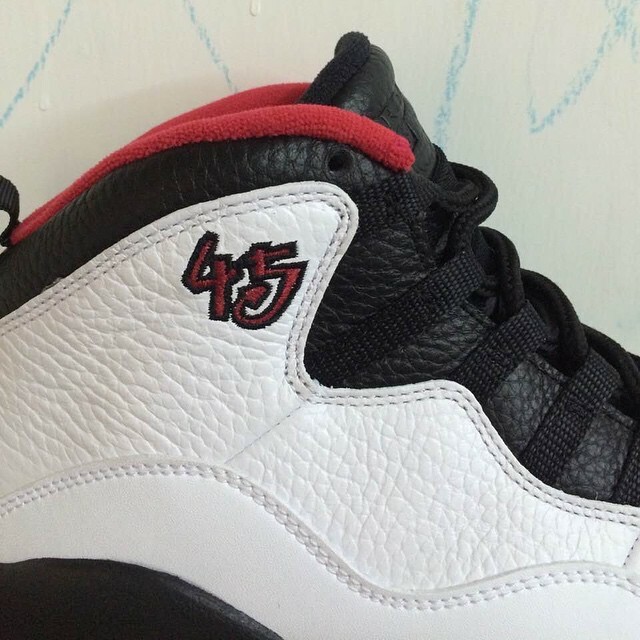 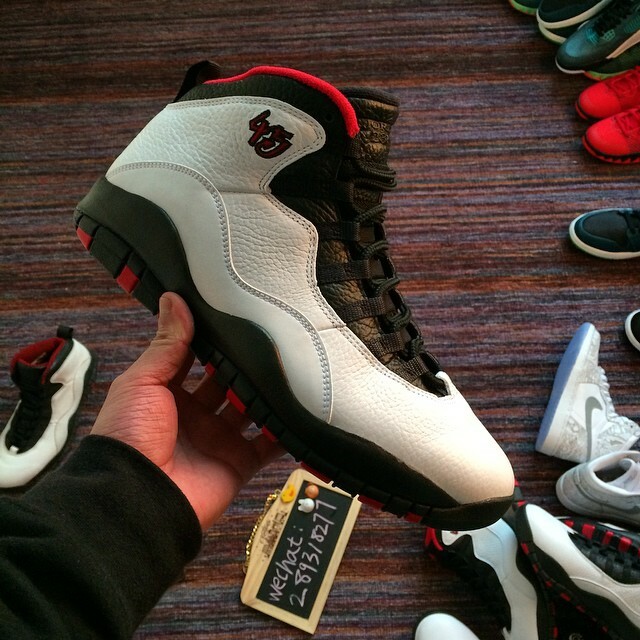 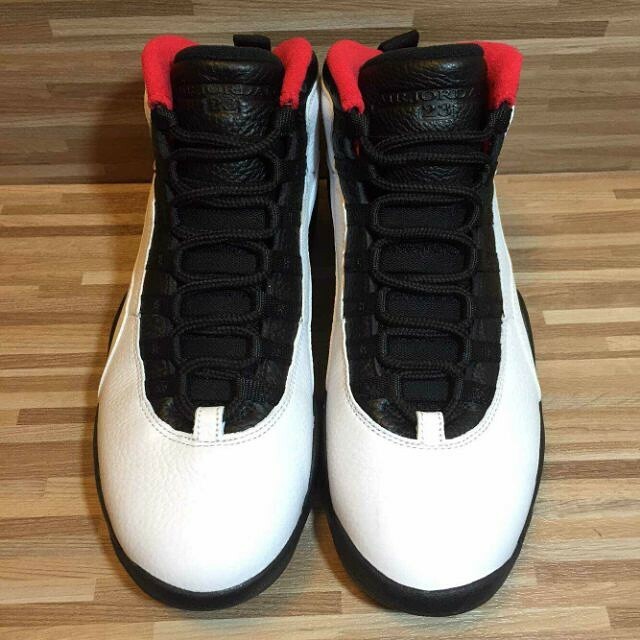 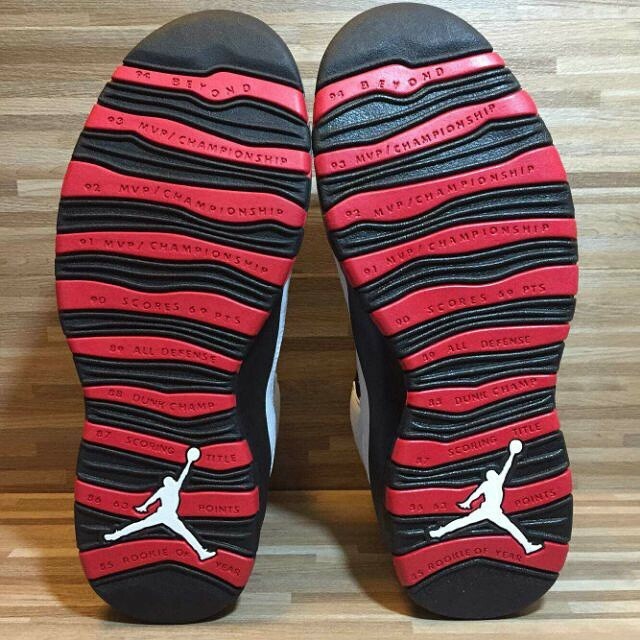 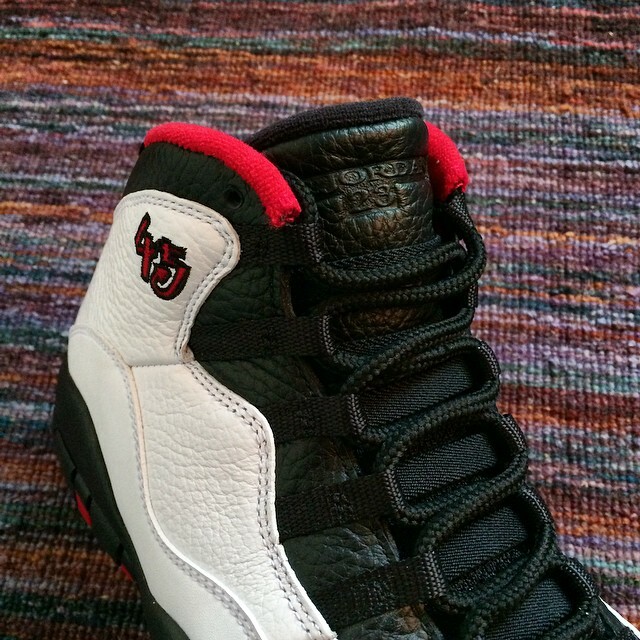 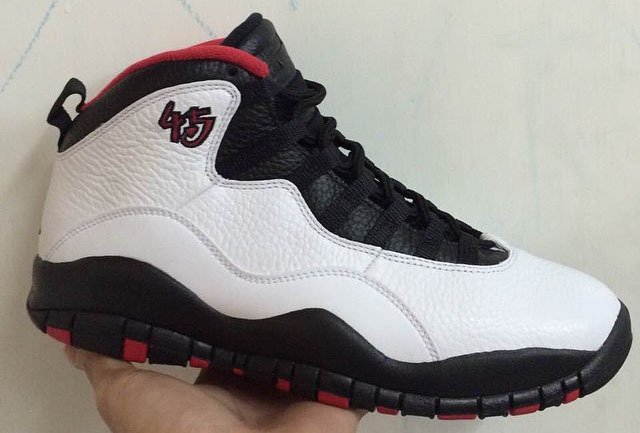 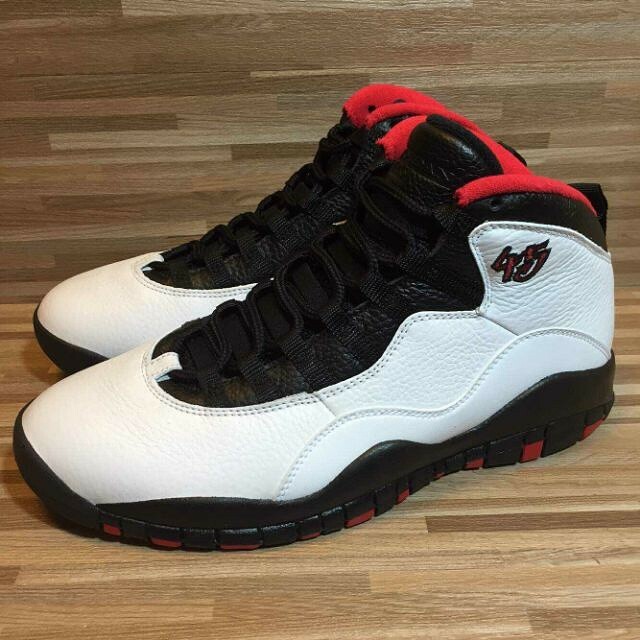 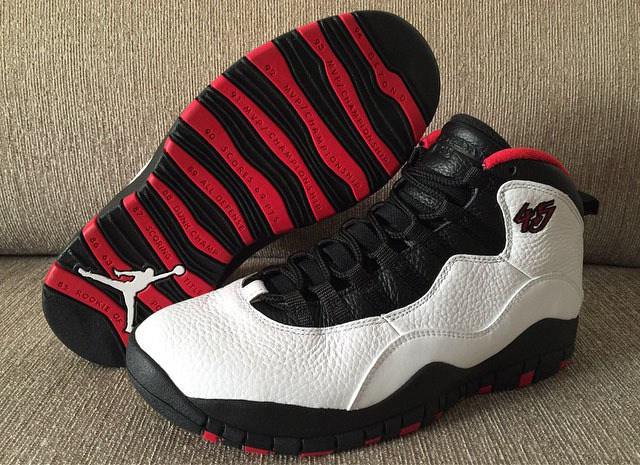 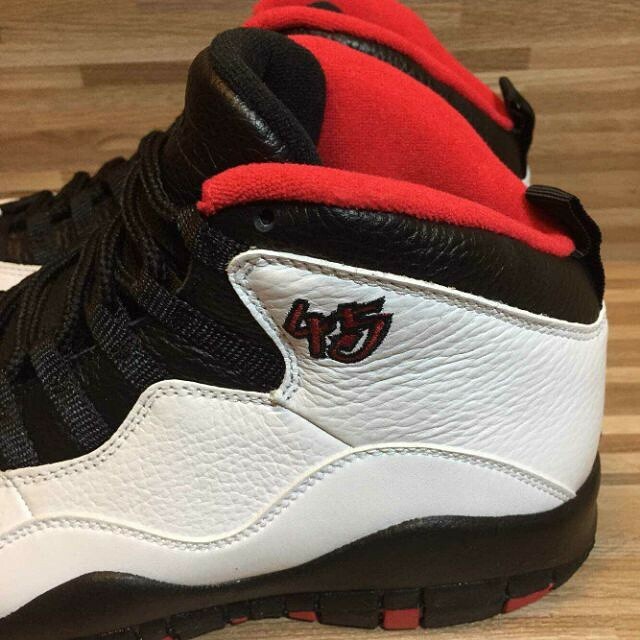 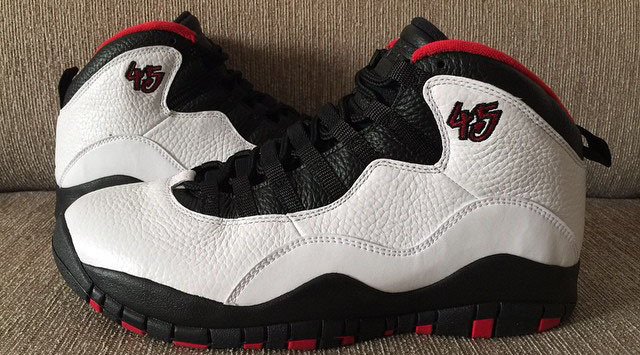 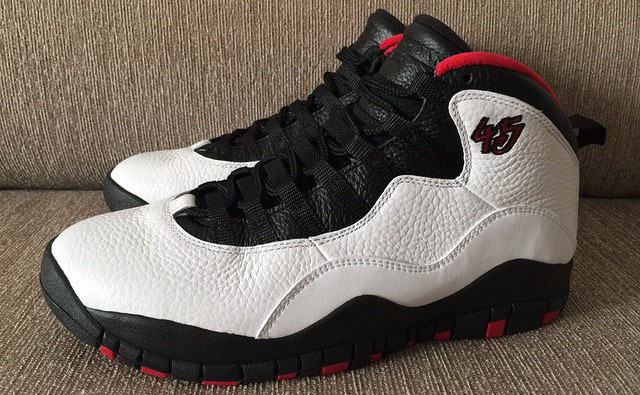 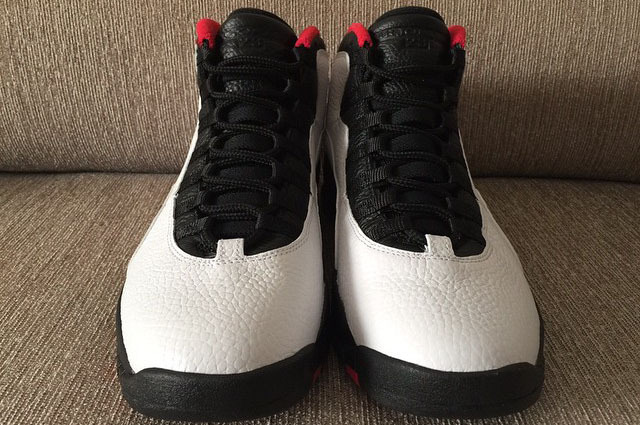 Tumbled leather is used for this remastered version, which sports the Windy City trio of white, black and red. 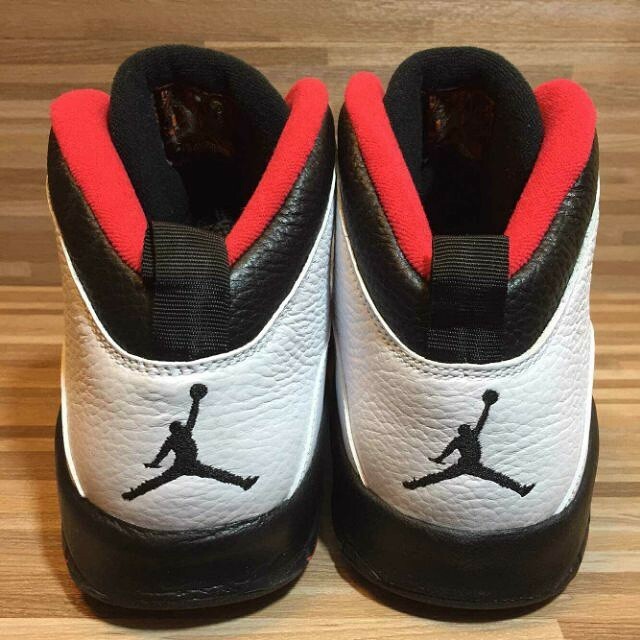 Expect a release for $190 on March 28, 2015, exactly 20 years after Jordan famously dropped his 'Double Nickel' on the New York Knicks at Madison Square Garden. 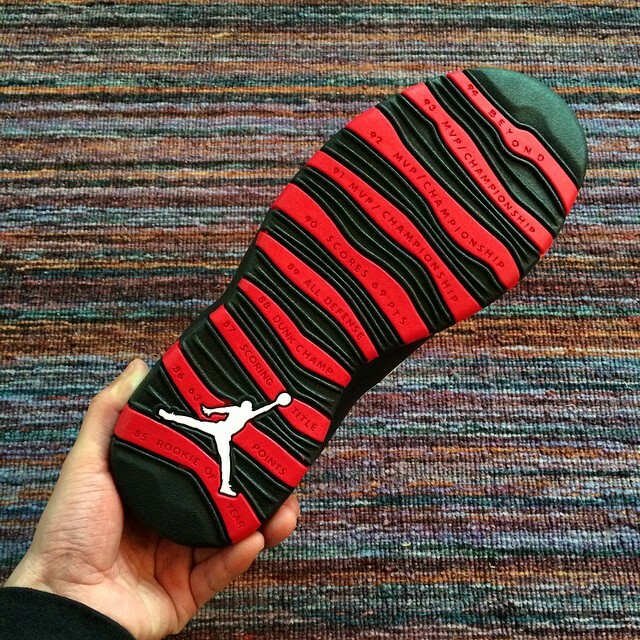 UPDATE 1/22: New images via @sneakergaga. 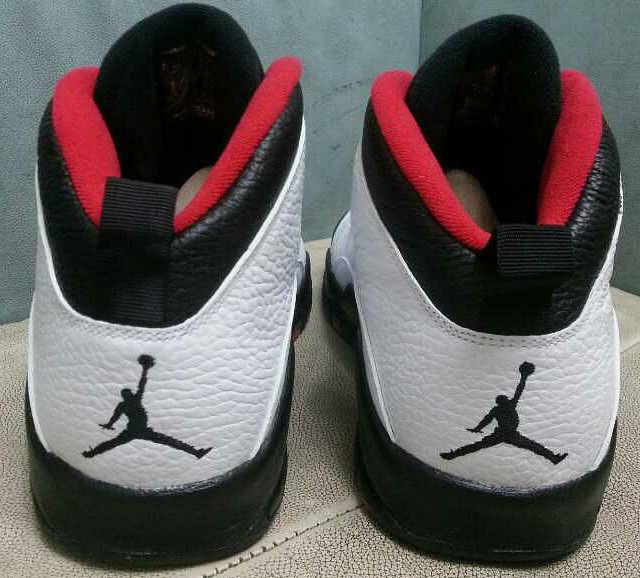 UPDATE 1/3: New images and comparison shots with the 2012 retro via @ajsole_com. 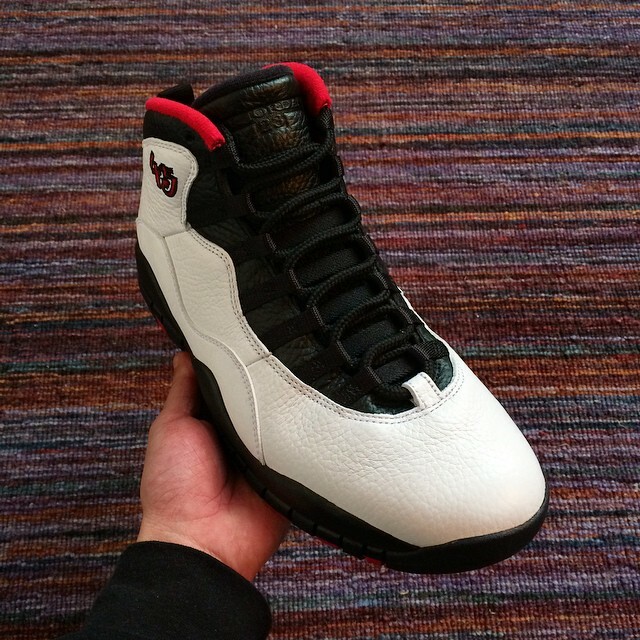 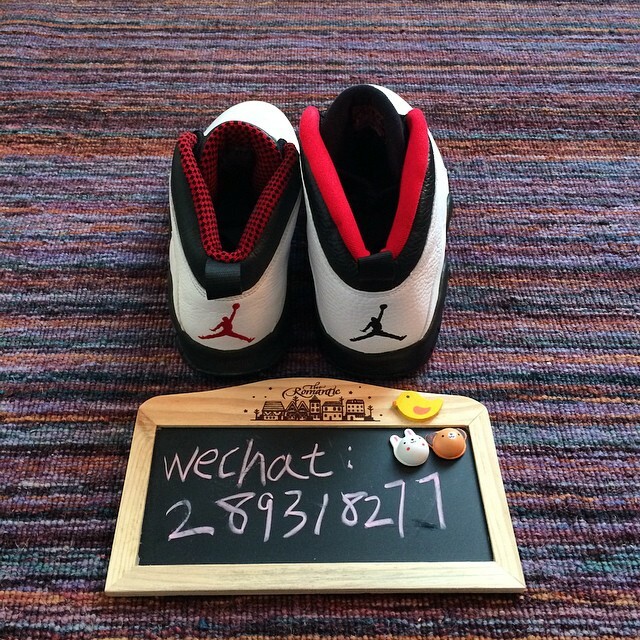 UPDATE 1/2: New images via @US11Hustla & @sneakergaga.